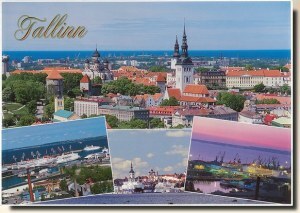 Tallinn is the capital and largest city of Estonia. It occupies a surface of 159.2 km2 (61.5 sq mi) in which 406,703 inhabitants live. It is situated on the northern coast of the country, on the banks of the Gulf of Finland, 80 km (50 mi) south of Helsinki. In 1154 a town called Qlwn or Qalaven (possible derivations of Kalevan or Kolyvan) was put on the world map of the Almoravid by cartographer Muhammad al-Idrisi who described it as a small town like a large castle among the towns of Astlanda. It has been suggested that the Quwri in Astlanda may have denoted the predecessor town of today's Tallinn. 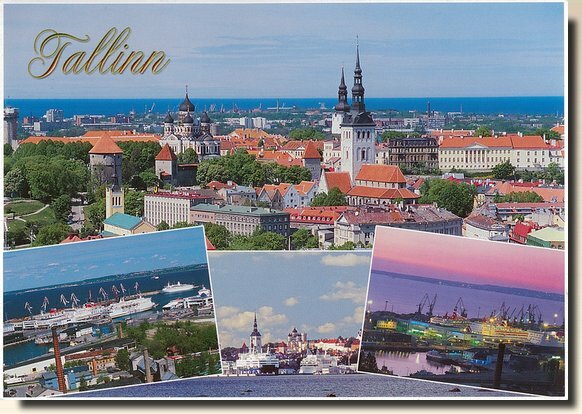 The earliest names of Tallinn include Kolyvan known from East Slavic chronicles, the name possibly deriving from the Estonian mythical hero Kalev [wikipedia].